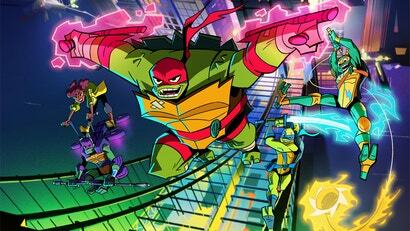 Rise of the Teenage Mutant Ninja Turtles, coming to Nickelodeon in the US September 17, reunites Raphael, Leonardo, Donatello and Michelangelo to fight new enemies with a brand new style, a shockingly overqualified voice cast, and a brand new trailer, too. 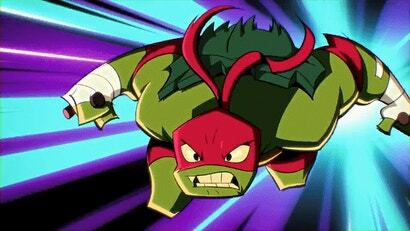 If you're still off put by the stylistic choices going into the latest iteration of the heroes in a half shell, the fact that the beloved theme song of the classic cartoon is getting a fast-paced modern remix for the new show is probably not going to assuage your concerns. But the more snippets we see of this show in action, the more we're intrigued.